Set in the heart of 14 acres of picturesque national heritage listed gardens, Rippon Lea Estate is one truly unique and historic wedding venue. Within just 10 km from Melbourne CBD, you and your guests can definitely feel this convenience that Rippon Lead Estate can provide. 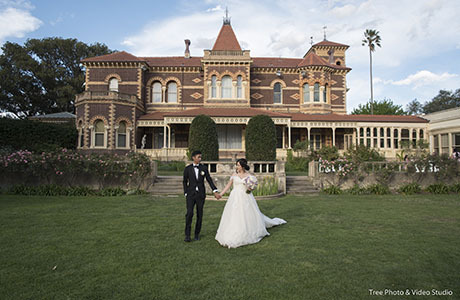 With the sprawling gardens, sweeping lawns and the heritage listed building as the backdrop, Rippon Lea Estate is extrodinary wedding ceremony place to say “I Do”. The breathtaking view and historic feeling make it here gorgeous and elegant. For the wedding reception, Rippon Lea Estate can serve up to 180 people for banquet and 250 people for cocktail. As part of the Wedding Venue Giant – Peter Rowland, who stand in this industry for more than 50 years, Rippon Lea Estate can definitely deliver a bespoke and beautiful food and drink experience to you and your guest. From a Melbourne Wedding Photographer’s perspective, Rippon Lea Estate is a wedding venue combine the elegance and magnificence. The heritage buildings, the majestic trees, the perfectly manicured gardens can all be the creative elements we need for Candid and Elegant Wedding Photography. 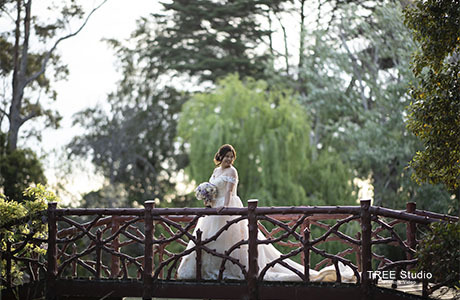 Should you have any questions to plan a wedding or wedding photography at Rippon Lea Estate, please do not hesitate to Contact Us for the suggestions and information from a Melbourne wedding photographer’s view.